Qualifications: Full time regular Bachelors degree in Engineering / Technology / B.Sc. (Engineering). Degree in Civil Engineering from recognised Indian university / institute approved by AICTE with minimum 60% marks or equivalent grade. Or AMIE (Civil Engineering) with minimum 60% marks are also eligible. Qualifications: Full time regular Bachelors degree in Engineering / Technology / B.Sc. (Engineering). Degree from recognised Indian university / institute approved by AICTE with minimum 60% marks or equivalent grade. Or AMIE with minimum 60% marks are also eligible. Electrical Disciplines includes Electrical / Electrical & Electronics / Power Systems & High Voltage / Power Engineering. Qualifications: Full time regular Bachelors degree in Engineering / Technology/ B.Sc. (Engineering). Degree from recognised Indian university / institute approved by AICTE with minimum 60% marks or equivalent grade. Or AMIE with minimum 60% marks are also eligible. Mechanical Disciplines includes Mechanical/ Production/ Thermal/ Mechanical & Automation. 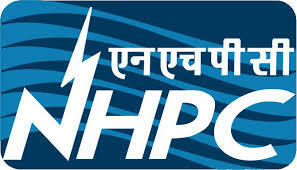 How to Apply: Candidates interested in joining NHPC as Trainee Engineers in 2014-15 are required to appear in GATE-2014. Interested candidates who have passed the eligibility qualification can apply online at NHPC Limited website: http://www.nhpcindia.com/career.htmafter obtaining the registration number for GATE-2014.